Intrigued by this concept and wanting to support Tallahassee’s cottage industries, I decided to splurge and pick up a few bars of chocolate. My first taste of SRSLY chocolate was their Strawberry Balsamic Truffles, a creation that immediately peaked my flavor imagination. Slowly taking my first bite of a Strawberry Balsamic Truffle, the slight give to the chocolate coat gave way to an initial flavor of dark chocolate, followed by a velvety (and ever so slightly gritty) strawberry infused chocolate center, and a subtle balsamic finish. While it would be easy for the strawberry or the balsamic flavors to dominate the taste of this type of confection, the dark chocolate (70% cacao) remained the leading flavor in this very enjoyable chocolate morsel. 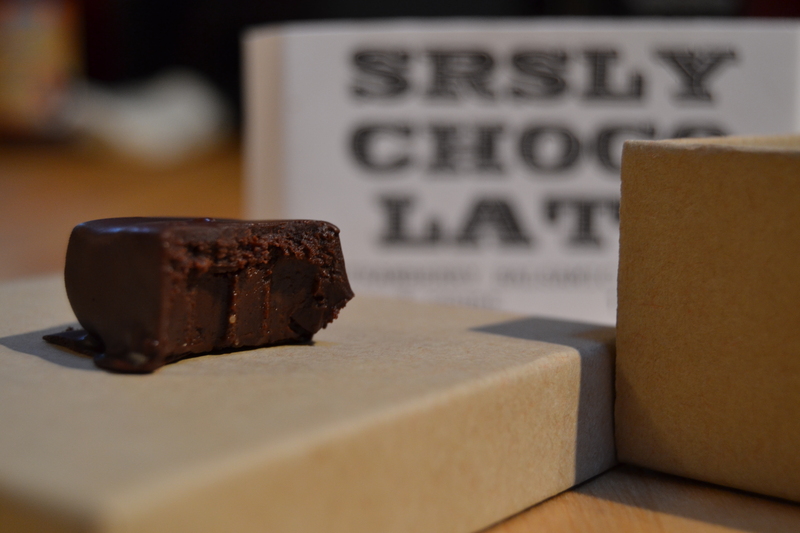 My second exposure to SRSLY chocolates was a Sea Salt and Almond chocolate bar. The first thing I noticed tasting the Sea Salt and Almond chocolate bar was the delightfully smokey flavor profile, pervasive throughout the entire bite of chocolate. 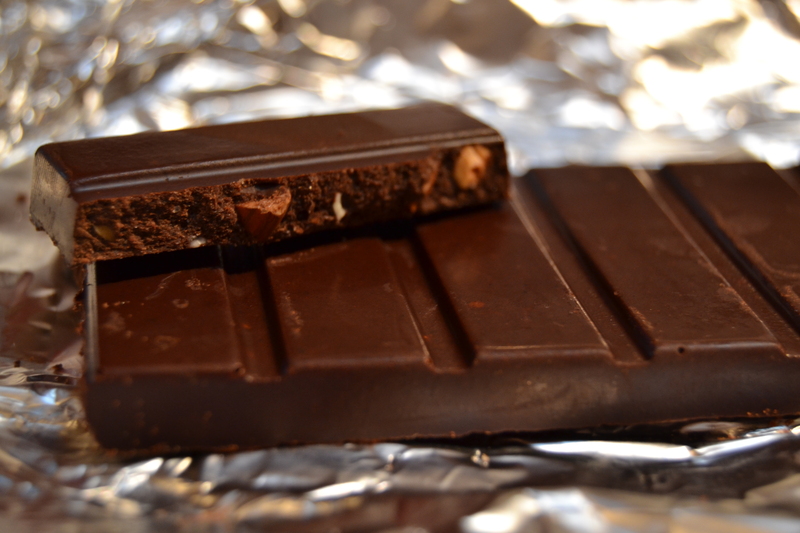 In addition to the smokey flavor, the chocolate bar was made more interesting by its texture. 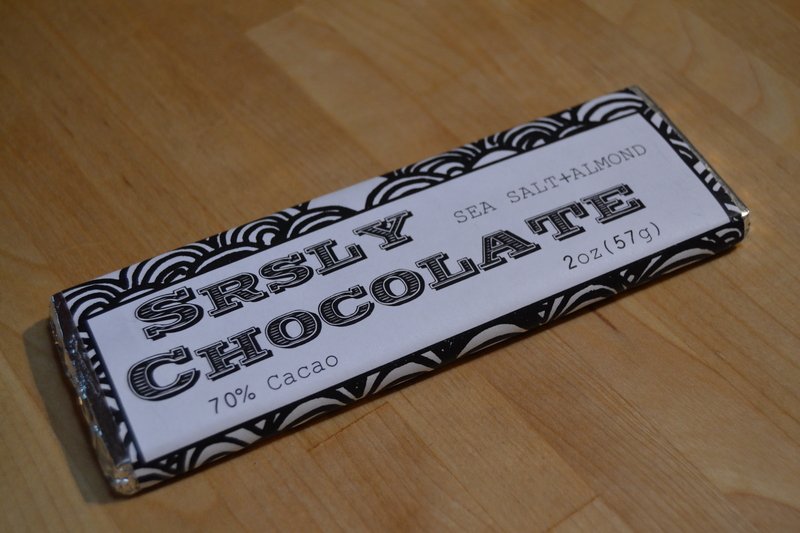 The almonds and flakes of of sea salt both provide the chocolate bar with a nice crunch. Unlike other bars I’ve had before, the almonds in the SRSLY chocolate did not get soft and chewy. The SRSLY chocolate bar also let the sea salt do what salt does best – enhance the other flavors in the bar – without the salt becoming a flavor itself. 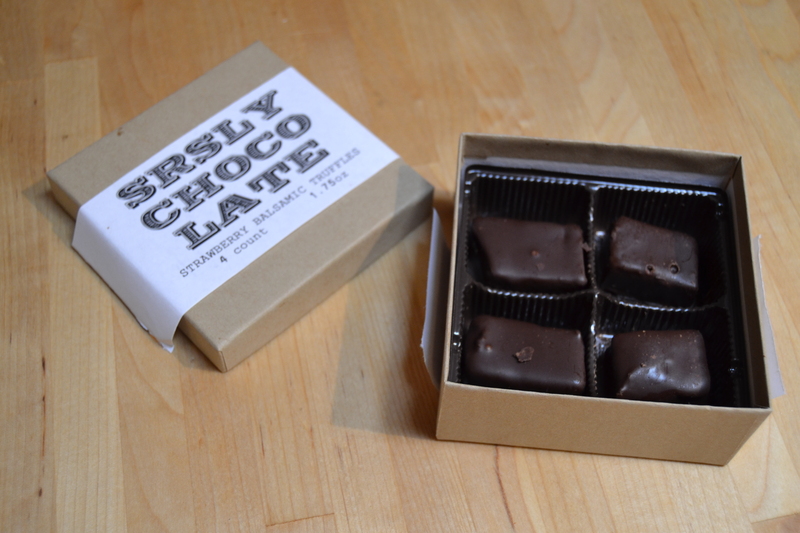 SRSLY chocolate is currently available at several local venues in Tallahassee, including New Leaf Market where I bought mine. The SRSLY website also appears to be in the process of setting in an online store where people can order their chocolates. 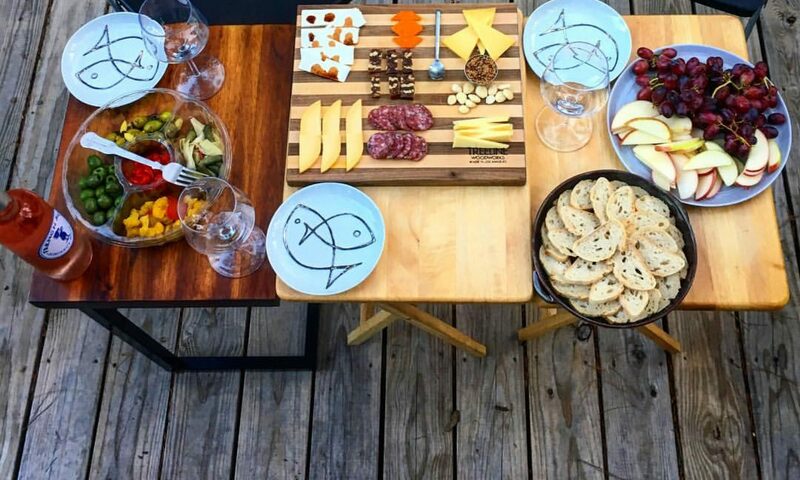 However you procure your tastings of SRSLY chocolate, you should indulge soon. SRSLY.